The University of Tennessee Health Science Center (UTHSC) is part of the statewide, multi-campus University of Tennessee, a public land grant university. The Memphis campus was launched in 1911 and dedicated solely to health science education and research. Seed programs in medicine, dentistry and pharmacy quickly flourished, and within a few short years, new programs were initiated in health professions, graduate health sciences, and nursing. Each of those programs grew to become a college in its own right. In 1963, the UT Graduate School of Medicine in Knoxville became part of the UT Health Science Center, and in 1974, the UT College of Medicine, Chattanooga joined the UTHSC system. Located in Memphis are the Colleges of Dentistry, Graduate Health Sciences, Health Professions, Medicine, Nursing and Pharmacy. UTHSC also has off campus instructional sites in Knoxville (for programs in Medicine, Pharmacy and Health Professions) Chattanooga (for programs in Medicine, Pharmacy) and Nashville ( for programs in Pharmacy, Medicine) as well as clinical training sites across the state. Methodist Healthcare-University Hospital, Regional One, V.A. Medical Center, Le Bonheur Children’s Hospital, Baptist Hospital, and St. Jude Children’s Research Hospital are the principal teaching hospitals for UT in the Shelby County area. The University of Tennessee Health Science Center also has formal affiliations with nearly a score of other hospitals or clinical facilities across the state. Because of its size and scope of activities, UTHSC has a $2.3 billion economic impact on Memphis and the state of Tennessee. It is one of the largest academic health science centers in the United States. UTHSC is the ninth largest employer in Memphis with approximately 4,000 faculty and staff employees, and is the largest provider of health care professionals in the state. For UTHSC accreditation information please see: https://www.uthsc.edu/sacs/. Please see the following link for Authorization and Accreditation information: http://catalog.uthsc.edu/content.php?catoid=19&navoid=1676. A twenty-four member Board of Trustees governs the University of Tennessee. The Board has delegated administrative authority to the president, who exercises this authority through a staff of chancellors and vice presidents. The Chancellor at the University of Tennessee Health Science Center serves in a dual role as chief executive officer for the Memphis campus and its statewide programs and is responsible, as vice president for health affairs, for the university-wide coordination of education, training, research, and service in the health fields. The Board of Trustees has full and complete control over the university’s organization and administration, its constituent parts and its financial affairs. All Trustees, both ex officio and appointed,(except the Executive Director of the Tennessee Higher Education Commission, who is a non-voting member), have a vote on matters coming before the Board or before any committee thereof of which they are members. The board is chaired by the governor of the state of Tennessee. Other members are appointed by the governor for staggered terms to represent different districts and regions of the state. The President of the University of Tennessee is the chief executive officer of the University. The president reports directly to the University Board of Trustees and has delegated authority to exert administrative and fiduciary responsibility for the campuses and institutes that comprise the University. He is assisted by a number of Vice Presidents and by the Chancellors of the individual campuses who report directly to him. 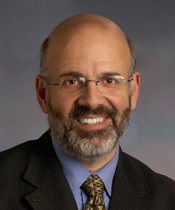 Chancellor STEVE J. SCHWAB, M.D. Vice Chancellor, Academic, Faculty, and Student Affairs LORI GONZALEZ, Ph.D.
Vice Chancellor, Finance and Operations ANTHONY FERRARA, CPA, M.A.S. Vice Chancellor, Clinical Affairs DAVID STERN, M.D. Vice Chancellor, Research STEVE GOODMAN, Ph.D.
Acting Dean, College of Dentistry J. STANSILL COVINGTON, III, D.D.S., M.S., F.R.S.M. Dean, College of Graduate Health Sciences DON THOMASON, Ph.D.
Dean, College of Health Professions (Interim) LORI GONZALEZ, Ph.D.
Executive Dean, College of Medicine DAVID M STERN, M.D. Dean, College of Medicine, Knoxville Campus JIM NEUTENS, Ph.D.
Dean, College of Pharmacy MARIE CHISHOLM-BURNS, Pharm.D., M.P.H. The mission of the University of Tennessee Health Science Center is “to bring the benefits of the health sciences to the achievement and maintenance of human health, with a focus on the citizens of Tennessee and the region, by pursuing an integrated program of education, research, clinical care, and public service.” UTHSC is committed to maintaining an environment that encourages honesty, trust, and fairness, and that promotes personal growth, development, satisfaction, and achievement for all students, faculty, and staff. To this end, UTHSC emphasizes and supports each of its four missions: education, research, clinical care, and service. The University of Tennessee is authorized by the state of Tennessee to provide an education primarily to the youth and citizens of the State of Tennessee and also to be a leading research institution. As the university’s flagship for health sciences education, the University of Tennessee Health Science Center offers a wide range of academic programs in the health sciences leading to baccalaureate, master and doctoral degrees. These programs are offered with the approval of the University Board of Trustees and the Tennessee Higher Education Commission. UTHSC, as part of the UT system (“Big Orange”) is accredited by the Commission on Colleges of the Southern Association of Colleges and Schools as a component of “Big Orange” which includes UTK, UTHSC, UT Institute of Agriculture, and the UT Space Institute, although the campus is seeking independent accreditation though this agency. Each of the professional colleges and programs is also accredited by an appropriate accrediting agency for the profession. Specific additional information on accreditation is listed below and on the Academic Affairs web site, https://academic.uthsc.edu/accreditagency.php. Details as to the requirements for the academic programs and degrees offered by The University of Tennessee Health Science Center can be found in the UTHSC Bulletin. Research is a vital component of the University’s programs and the University of Tennessee Health Science Center is committed to promoting its health science and biomedical research mission. Students have an opportunity to work in laboratories with faculty who are at the forefront of their disciplines. The faculties of the colleges at the University of Tennessee Health Science Center work together to achieve common research objectives. The research effort provides the basis for solutions to health problems facing the community today and tomorrow and, through proper direction, seeks to delineate approaches for the maintenance of health and prevention and treatment of disease. These broad objectives are being realized through the collaboration of scientists working in many disciplines encompassing various departments and research centers. These include the Neuroscience Center of Excellence, the Molecular Resource Center of Excellence, the Pediatric Pharmacokinetics and Therapeutics Center of Excellence, the Clinical Research Center, the Memphis Research Consortium, the Newborn Center and the Cancer Center. Well established research programs in collagen diseases, geriatrics, and drug and alcohol abuse provide additional opportunities for qualified students to gain experience in biomedical research, as do research programs at St. Jude Children’s Research Hospital and the University of Memphis. The multidisciplinary approach utilized by the University of Tennessee Health Science Center provides research training rarely duplicated in comprehensive universities. The University of Tennessee Health Science Center has established 62 Endowed Professorships and Chairs, including 19 designated as Chairs of Excellence. Chairs of Excellence are established with an endowment derived from both state and private funding. Endowed Professorships are usually established with private gifts. The accompanying table shows current endowed Professorships and Chairs of Excellence. Our Endowed Professorships and Chairs of Excellence are of fundamental importance in attracting world-renowned scientists and clinicians to The University of Tennessee Health Science Center. These world-class investigators/clinicians provide a unique opportunity for students wishing to learn from individuals at the frontier of research in the biomedical and clinical sciences. Serving a similar role are seven Centers of Excellence established at the University of Tennessee Health Science Center and funded by the State of Tennessee. These research centers aid in attracting outstanding faculty and offer a superior research environment. The Centers of Excellence contain the most sophisticated research instruments and staff and serve as a vital hub for scientists from both Tennessee and the nation. Centers of Excellence are established in Neurosciences, Molecular Resources, and Pediatric Pharmacokinetics and Therapeutics, Genomics and Bioinformatics, Neurobiology and Brain Disease Imaging, Diseases of Connective Tissues, and Vascular Biology. In addition, the newly established University of Tennessee Cancer Institute was recently accepted as a member of the National Comprehensive Cancer Network, and the Neuroscience Institute has achieved an international reputation as a preeminent center for neuroscience in the United States. Faculty at the UTHSC are leaders in the field of mouse genetics and are responsible for the establishment of research consortia such as the Tennessee Mouse Genome Consortium and the Complex Trait Consortium. In addition, they have also pioneered the development of the iScope project. Harriet S. Van Vleet Chair of Excellence in Pharmacology Burt M. Sharp, M.D. Harriet S. Van Vleet Chair of Excellence in Virology Martha M. Howe, Ph.D.
E. Eric Muirhead Chair of Excellence in Pathology Lawrence Pfeffer, Ph.D.
UTMG Chair of Excellence in Obstetrics and Gynecology Giancarlo Mari, M.D. Le Bonheur Chair of Excellence in Pediatrics James W.Wheless, M.D. Plough Foundation Chair of Excellence in Pediatrics Stephania A. Cormier, M.D. J.R. Hyde Chair of Excellence in Rehabilitation Engineering William M. Mihalko, M.D., Ph.D.
Thomas A. Gerwin Chair of Excellence in Physiology Leonard R. Johnson, Ph.D.
First Tennessee Chair of Excellence in Clinical Pharmacy P. David Rogers, Pharm.D., Ph.D.
William and Dorothy Dunavant Chair of Excellence in Pediatrics Jonathan A. McCullers, M.D. Federal Express Chair of Excellence in Pediatrics John J. Bissler, M.D. Semmes-Murphey Chair of Excellence in Neurology Andrei Alexandrov, M.D. Maury W. Bronstein Chair of Excellence in Cardiovascular Physiology Jonathan H. Jaggar, Ph.D.
Goodman Chair of Excellence in Medicine Arnold E. Postlewaite, M.D. Mark S. Soloway Chair of Excellence in Urology Robert W. Wake, M.D. Herbert A. Shainberg Professorship in Developmental Pediatrics Frederick B. Palmer, M.D. Simon R. Bruesch Alumni Professorship in Anatomy Matthew Ennis, Ph.D.
Harriet S. Van Vleet Professorship in Pharmacy Duane D. Miller, Ph.D.
Methodist Hospitals Foundation Professorship in Neuroscience Anton Reiner, Ph.D.
Lemuel W. Diggs Alumni Professorship in Medicine Guy L. Reed, M.D. Harwell W. Wilson Alumni Professorship in Surgery Timothy Fabian, M.D. John Dustin Buckman Professorship in Pediatrics Dennis D. Black, M.D. George Thomas Wilhelm Professorship in Orthopedics Karen A. Hasty, Ph.D.
Sheldon Barnarr Korones Professorship in Neonatology Ramasubbareddy Dhanireddy, M.D. Rex A. Amonette Professorship in Dermatology Kathryn Schwarzenbergr, M.D. Robert H. Cole Professorship in Neurosciences (Graduate School of Medicine) Ralph Lydic, Ph.D.
Neuton S. Stern Professorship in Cardiovascular Diseases Karl T. Weber, M.D. Hamilton Professorship in Ophthalmology Barrett G. Haik, M.D. Thomas K. Ballard-Oscar M. McCallum Professorship in Family Medicine Gregg Mitchell, M.D. James T. Robertson Professorship in Neurosurgery Frederick A. Boop, M.D. Eastridge-Cole Professorship in Thoracic Oncologic Surgery Benny Weksler, M.D. Paul Nemir, Jr. Professorship in International Child Health William Novik, M.D. Plough Foundation Professorship in Retinal Diseases Edward Chaum, M.D. UTMG Professorship in Nephrology L. Darryl Quarles, M.D. A.C. Mullins Professorship in Research Samuel E. Dagogo-Jack, M.D. Gene H. Stollerman Endowed Professorship in Internal Medicine James B. Dale, M.D. Dr. Schayel R. Scheinberg Endowed Professorship David M. Shibata, M.D. Governor’s Endowed Chair in Computational Genomics Robert W.Williams, Ph.D.
St. Jude Chair in Pediatric Cardiology Jeffrey A. Towbin, M.D. St. Jude Chair in Neurosurgery Frederick A. Boop, M.D. St. Jude Chair in Ophthalmology Matthew W.Wilson, M.D. St. Jude Chair in Pediatric Pulmonary Medicine Dennis C. Stokes, M.D. St. Jude Chair in Pediatric General Surgery Max R. Langham, Jr., M.D. Baptist Memorial Health Care Clinical Professorship in Ophthalmology R. Christopher Walton, M.D. Fred E. Hatch, M. D. Professorship in Medicine Csaba Kovesday, M.D. Orren W. Hyman Endowed Professorship in Medicine Colin W. Howden, M.D. UTHSC College of Medicine Professorship in Women’s Health Karen C. Johnson, M.D., M.P.H. Governor’s Endowed Chair in Biomedical Informatics Robert L. Davis, M.D. A number of activities with clinical, educational, or research components require active collaboration of a variety of disciplines. In order to facilitate development of programs with multi-department and multi-college participation, several programs have been designated as interdisciplinary programs. Interdisciplinary programs imply more than close cooperation on campus; they also involve coordination of all private and public efforts in a particular field. Thus, interdisciplinary programs fit the description of being organized scientific activities “without walls.” In addition, as UTHSC is developing more and more courses that involve students from multiple programs, the College of Graduate Health Sciences has established a new department of Inter-Professional education to foster and coordinate these educational initiatives such that health professional students are better able to participate in health care teams. This interdisciplinary center builds upon a strong base in functional genomics and bioinformatics that extends from Knoxville, through Oak Ridge, to Memphis. The purpose of the Center is to provide infrastructure and expertise to catalyze a broad range of research projects and university-industry collaborations that exploit cutting edge techniques to delineate the function of genes in biology. The Center works closely with faculty across departments and schools throughout the UT System (UTK, UTHSC, and UTSI), Oak Ridge National Laboratory (ORNL), and St. Jude Children’s Research Hospital (SJCRH). Research scientists in the Vascular Biology Center seek to define key risk factors for vascular disease and understand how these factors increase the risk of disease. To accomplish these goals the Center combines the basic research and clinical environments. As a result of combining these environments, the Center is ensuring rapid translation of research findings into patient care, thereby saving lives and improving the quality of life for vascular disease patients, heightening local and national awareness of vascular disease prevention and care; expanding and integrating existing research opportunities within the university to foster cooperative and effective research between various medical disciplines; and training tomorrow’s investigators to be individual thinkers. Scientists in the Center of Excellence for Diseases of Connective Tissues conduct basic research in five broad areas: autoimmune diseases (such as rheumatoid arthritis and lupus); degenerative diseases (such as osteoarthritis and degenerative disc disease); inflammation and the basic science of how the body reacts to injury; fibrotic diseases (such as heart failure and emphysema), and clinical research. It is from clinical service, clinical and basic research and teaching that the center derives its strength. Major center components include research focused on understanding the cause and origin of connective tissue disease by using animal models and in vitro cell culture systems, designing new diagnostic tests for diseases of connective tissue, and developing novel therapies and prosthetics to treat these diseases. The Child Development Center was established in January 1957, under a grant from the United States Children’s Bureau through the Maternal and Child Health Division of the Tennessee Department of Public Health. The current facility was constructed with a grant from the United States Public Health Service in March 1966. The building was renamed the Boling Center for Developmental Disabilities (BCDD) in honor of retired UT President Boling and his wife in 1988. BCDD is one of sixty-one federally funded university centers for excellence in developmental disabilities, education, research, and service. Program goals are to: provide interdisciplinary training; develop innovative clinical service programs; and deliver technical assistance and consultation to those local, state, and federal programs that address the needs of individuals with developmental disabilities. Training programs within the BCDD include: developmental pediatrics, biochemistry of metabolic disorders, clinical genetics, and child psychiatry, as well as audiology, dentistry, nursing, nutrition, occupational therapy, physical therapy, psychology, special education, speech pathology, and social work. Training efforts are largely directed at the graduate level, and fellowships are offered in most disciplines. Training opportunities are also available to students at the undergraduate level. Cooperative programs housed in the BCDD include: Harwood Day Training Center, Memphis Oral School, Exceptional Children’s Clinic, UT Child Care Laboratory, BCDD Demonstration School, and Adolescent Day Treatment Program. A unique feature of the BCDD is the interdisciplinary approach to both service and training. Trainees in every discipline have opportunities to work with professionals in other disciplines and to understand each professional’s contribution to the diagnostic and treatment process. The interdisciplinary environment also provides a setting in which children and adults with complex problems can receive diagnostic and treatment services. The University of Tennessee Center for Cancer Research, established in its present form in early 1985, is dedicated to research and education in cancer and cancer-related disorders. Membership in the Cancer Center is voluntary, is open to any interested faculty or community health professional, and is intended to promote scientific collaborations among investigators from many disciplines. The Cancer Center and its members are responsible for the development and application of new knowledge to patient care and to the prevention and early detection of cancer. The Cancer Center is a full, active member of a national multidisciplinary cooperative clinical trial group funded by the National Cancer Institute and enrolls patients to investigational treatment protocols in leukemia, lymphoma, breast, and respiratory cancer. Basic research programs include population pharmacokinetics, cancer pharmacology, and tumor cell biology. The Cancer Center is also involved in funded research and community service projects in cancer control and cancer education. The Molecular Resource Center of Excellence (MRC) serves as an interdisciplinary resource for basic biomedical and clinical investigators. The Center was established to develop the facility and expertise needed for a basic science or clinical investigator to begin with a purified protein and isolate its cognate gene. Conversely, the investigator may begin with a gene that can be easily cloned and isolate its cognate protein. Once a desired gene has been cloned or a protein purified, the facility permits full structural determination and manipulation of both molecules. The Center consists of four facilities: Gene Cloning and DNA Sequencing, Oligonucleotide Synthesis, Peptide Synthesis, and DNA-chip array. Additional facilities include a laser-driven dual beam flow cytometer that will permit analysis and sorting of up to seven different cell types, and a protein analysis laboratory consisting of peptide isolation and mapping facilities, amino acid and primary sequence analysis facilities and computer-based molecular modeling capabilities. The first of its kind in Tennessee, the Center for Neuroscience was established in 1985 through the State of Tennessee Better Schools Program. In 1988, the Tennessee Higher Education Commission designated it an Accomplished Center of Excellence because it had become one of the largest integrated neuroscience research and training programs in the U.S. and an internationally recognized center for neuroscience. The Center for Neuroscience is a multidisciplinary program, which includes faculty from twelve departments in the College of Medicine (four basic sciences and eight clinical sciences departments). The interdepartmental nature of the program provides the collaborative environment necessary for quality neuroscience research. Research directions are diverse, with emphases on movement disorders, including Parkinson’s disease, Huntington’s chorea, and muscular dystrophy; visual function and eye diseases; developmental neurobiology; and molecular neuroscience/genetics. Other areas include neuroendocrine regulation and the neuronal control of cardiovascular function, sleep, cerebral circulation and metabolism, the biochemical analysis of peptides, and brain modeling. As would be expected at a health science center, clinical practice is one of the key missions of our institution, with the majority of our faculty involved in direct patient care and/or clinical education. Our clinical enterprise encompasses a variety of practice types and occurs in a variety of settings ranging from level 1 trauma centers and pediatric neonatal intensive care units to a variety of other hospital-based operations, pharmacies in hospital and community settings, ambulatory care clinics, private practices, dental clinics, and specialty practices in both urban and rural environments. And the excellence of our faculty is achieving recognition, with Le Bonheur Children’s Hospital (staffed largely by UTHSC faculty) now ranked by U.S. News & World Report as number 23 among children’s hospitals in the country. Accolades have also been received by programs at Methodist University Hospital and the UT Medical Center in Knoxville as a result of success of our clinical faculty. These diverse settings, coupled with the commitment of our dedicated faculty and staff, provide a rich environment for our students, preparing them for excellence in their chosen health profession. The University of Tennessee Health Science Center is actively helping to meet community and statewide needs with a number of programs that serve the dual purpose of furthering the education of students and providing valuable services. These programs include: UTHSC Boling Center for Developmental Disabilities; UTHSC Genetics Center, Hearing and Speech Center (in Knoxville), the Drug Information Center; the Hamilton Eye Institute, the Medical Simulation Center and the Southern Poison Center. Our students also participate in a variety of outreach activities, serving as tutors and mentors at area schools, participating in health care fairs and immunization programs, providing clinical care at Clinica Esperanza and the Church Health Center, and providing dental services through our Dental Smiles programs. Students also participate in food drives, charity fundraisers, etc. UTHSC has developed new policies and procedures for all UTHSC sanctioned outreach activities/initiatives, including those activities initiated by a college/campus organization and those requested by a community organization - see http://www.uthsc.edu/special-events/documents/outreach-initiatives-policy.pdf. Student organizations interested in participating in a community event are required to work with their faculty advisor and complete an Outreach Initiative Form at least 2 weeks prior to the event (form available at https://uthsc.co1.qualtrics.com/jfe/form/SV_9MNjn5Ed5UTVIxL), providing information as to the outcome of the event after it occurs. It is well established that lifelong study is a fundamental responsibility of all health professionals. Because of the rapid rate of technological change resulting from research, innovation in the methods of health care delivery, and new clinical procedures and materials, the need to remain current in the health professions is acute. The colleges at the University of Tennessee Health Science Center respond to these needs by presenting a number of courses for practicing health professionals each year. Current faculty and students at the University of Tennessee Health Science Center may also attend these courses, as their time permits. It is expected that all students, as they embark upon a career of service, will realize an obligation to continue their education, with that obligation becoming increasingly important the longer they practice. The Office of Alumni Affairs at the University of Tennessee Health Science Center coordinates alumni programs for the individual colleges, sponsoring alumni weekends, class reunions, and alumni gatherings at local, state and national professional meetings. The office also coordinates meetings of alumni volunteer boards which serve as advisory groups to the deans in the Colleges of Dentistry, Medicine, Nursing and Pharmacy. Within the Office of Development and Alumni Affairs, current addresses for all University of Tennessee Health Science Center alumni are maintained. A variety of university and collegiate magazines and newsletters, as well as electronic publications, are distributed to alumni on a regular basis. Each year, the UT Alumni Association, through the campus alumni office, provides a number of student scholarships, as well as public service award, distinguished service professorship awards, and outstanding teacher awards for faculty members. The UTAA’s Board of Governors has one student representative each year, which rotates among the campuses of the University of Tennessee. Following graduation, the University of Tennessee Health Science Center students become part of the 362,000 plus membership of the UT Alumni Association, which has active alumni chapters across the U.S. and abroad. The UTHSC Office of Alumni Affairs can be reached by phone at 1-800-733-0482 or 901-448-5516 or via email at utalumni@uthsc.edu. The web site http://memphis.about.com/od/midsouthliving/p/factsandfigures.htm lists Memphis as the 18th largest city in the US with a population of 680,768 within the city limits and 1,230,303 million in the greater Memphis metropolitan area which includes Shelby, Tipton, Fayette, Desoto, Marshall, Tate, Tunica, and Crittenden counties. This makes Memphis the second largest metropolitan area in Tennessee, surpassed only by metropolitan Nashville, which has overtaken Memphis in recent years. With its location on the Mississippi River where it has served as a major crossroads for shipping, cotton- growing and railway services, Memphis has long been a center of commerce. It has also long been a center of culture, with music, particularly the blues, integrally woven into the fabric of the city. Today Memphis is also a center for education and research, agriculture and associated businesses, a burgeoning tourist industry and an internationally renowned music and recording center. Health care and related activities such as medical education and biomedical research are Memphis’s largest industries, bringing over $5 billion a year to the local economy. Memphis has also continued to serve as “America’s Distribution Center,” offering one of the country’s largest inland ports and serving as the national headquarters for the FedEx air-courier company. The area offers a wide variety of cultural attractions: a major symphony orchestra, two ballet companies, three theater companies, two major art museums, and a regionally renowned nature center. In the tri-state region of Tennessee, Mississippi, and Arkansas, there are recreational opportunities to suit the most varied tastes - boating, swimming, fishing, hot air ballooning, and team sports that include football, baseball and major league basketball and ice hockey. In addition to the University of Tennessee Health Science Center, several other institutions of higher education are located in Shelby County: these include one public four year comprehensive university, a four year college of art, two public technical and community colleges, and three private four year universities and colleges. The University of Tennessee Health Science Center operates physical facilities that total over 3.5 million of gross sq. ft. and 2.1 million sq. ft. of assignable areas on the Memphis campus alone. The Facilities Inventory for Memphis lists 42 buildings on approximately 60 acres of densely developed urban property. These buildings encompass more than 12,000 separate rooms. In Knoxville, facilities are located in two locations - on the campus of the University of Tennessee (home to the Department of Audiology and Speech Pathology and its Speech and Hearing Center) and on the campus of the UT University Hospital. In Chattanooga, UTHSC operates on the campus of Erlanger Hospital, with the UTCOM located mainly in the Whitehall building, directly across from the hospital). Smaller clinical education sites are located across the state of Tennessee including one in Nashville. See campus map.